On our final day in Hamburg my daughter and I headed across town from the Holiday Inn we were staying at to find Tierpark Hagenbeck (Hamburg Zoo). We managed the bus and subway journey just fine, until an over helpful passerby tried to put us on the wrong S Ban. It was quickly resolved and we were soon heading in the right direction in time for our appointment with Sabina who was going to be giving us a guided tour that day. Despite being a cold November day, the weather was on our side treating us to a crisp dry blue skies overhead. Sabina took us to meet the collection of elephants first, while giving us an introduction to Tierpark Hagenbeck. The zoo is privately owned and was opened in the 1920s by Carl Hagenbeck. He was quite the entrepreneur and created a revolutionary habitat for the zoo’s residents at the time. His ideas moved way from cages and bars to an open plan arrangement that created a sense of freedom for the animals in his care. 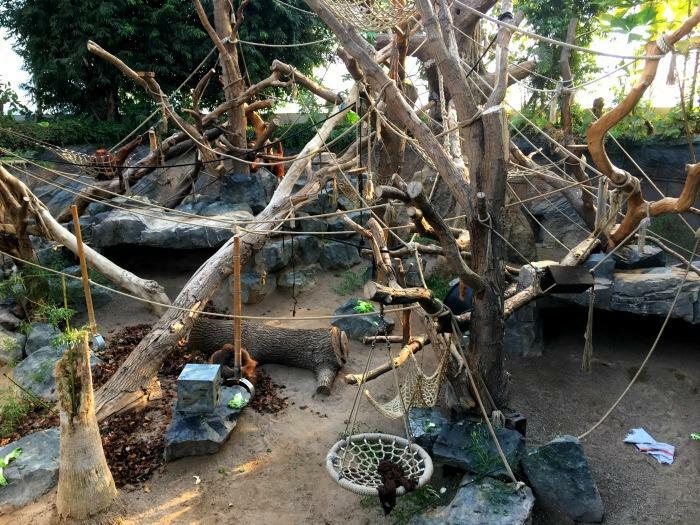 These days the zoo is heavily involved in conservation projects and education programs for local schools. We were also surprised to learn that the zoo was open 365 days a year and families made the effort to visit the zoo even on Christmas Day. 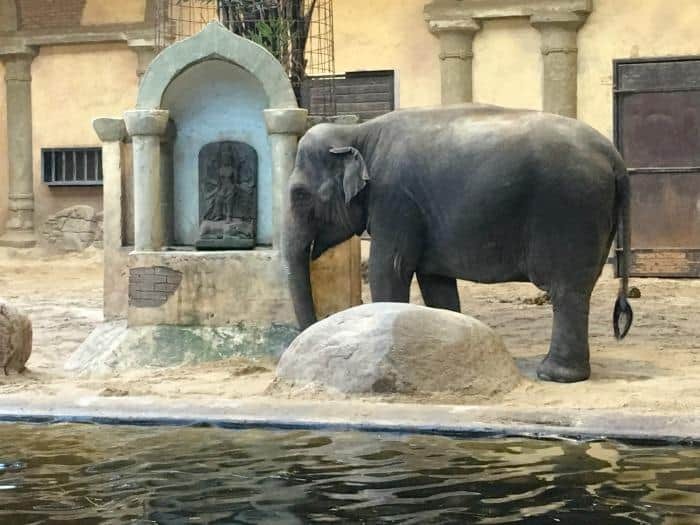 As we toured the zoo with Sabina it became very clear how passionate she and the other staff at Tierpark Hagenbeck were about the animals they looked after. We met the 4 tiger cubs that had been born at the zoo that year and discussed at length how important the breeding program is to protect this endangered species. Animals like tigers face so many threats, which are mainly man made. As their habitats are destroyed and with hunting still being rife in some countries, healthy breeding to maintain their numbers is becoming harder for these animals to maintain in the wild. 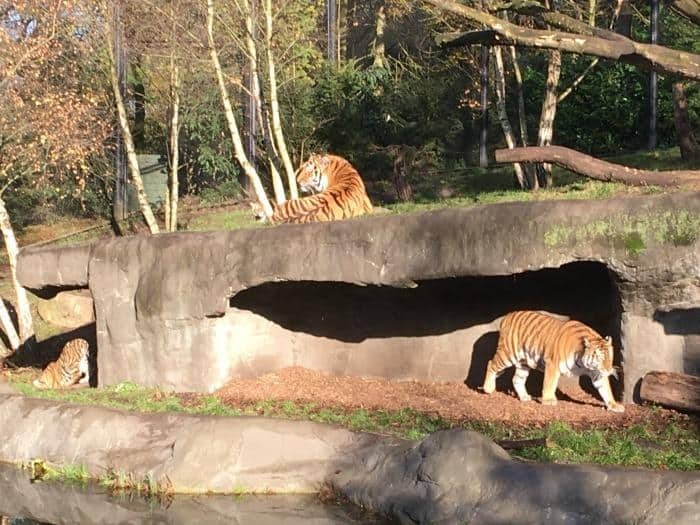 Sabina explained how the tiger cubs will eventually leave Tierpark Hagenbeck to be placed with other zoos for breeding purposes to maintain a healthy genetic line. It was really interesting finding out how this was coordinated with zoos all over the world through a central program. It was also amazing seeing the 4 cubs play together and introduce my daughter to these stunning creatures. As we moved through the zoo we met many wonderful animals including giraffes, giant tortoises, orang-utans and kangaroos. 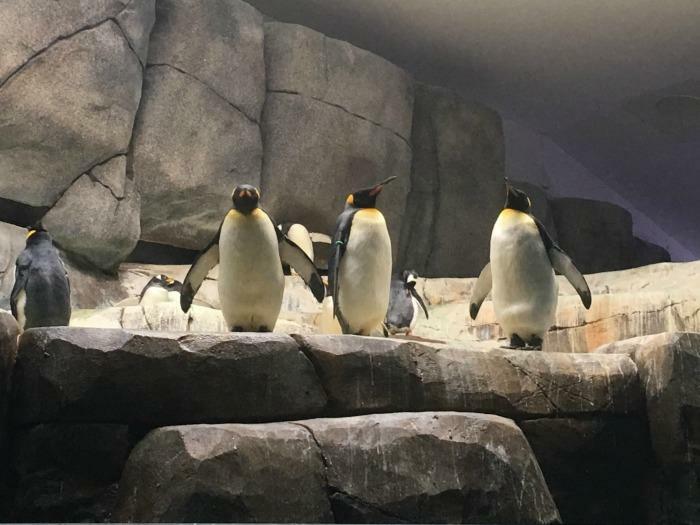 They have a large bird collection at the zoo and we discussed the threat of bird flu on the zoo and how they protected the birds from these diseases during epidemics coming in from the wild. It seems there was a lot more to running a zoo than I first thought. One of the areas I was most impressed with was the penguin enclosure. 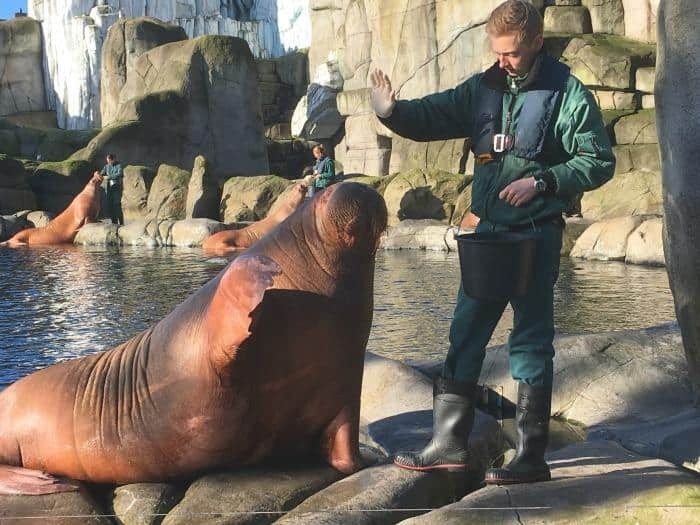 Tierpark Hagenbeck is committed to providing stimulating environments for the animals in its care and following best practices to ensure the animals are happy and stimulated. 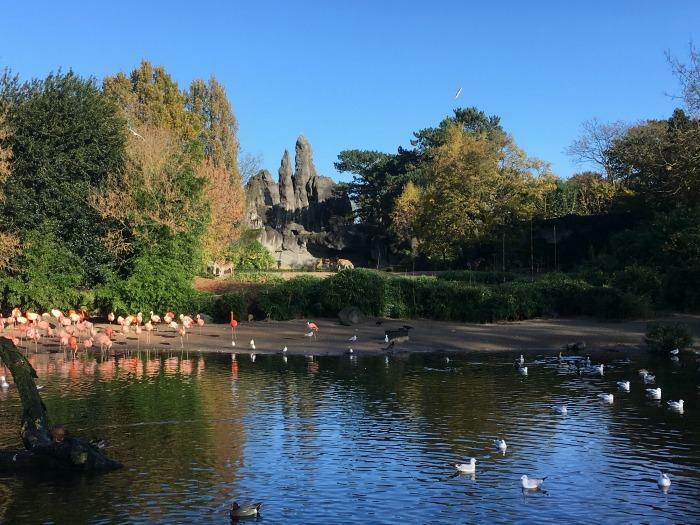 The penguin enclosure was a real testament to this giving the birds lots of space and a bit of a workout to keep them fit and healthy. It was almost like an assault course they could follow that ensured they got to use all the different skills they would use in the wild from swimming, climbing to sliding. One of the highlights from the day was most certainly meeting the walruses. It was the first time my daughter and I had seen these mammals. The zoo keepers were showing us how they trained them to prepare them for medical exams as well as making sure they got to exercise there brains too. They are clearly a very clever breed and are really receptive to training and making relationships with their keepers. They didn’t mind having their teeth cleaned, having a full body exam or giving us a wave if there was some fish involved. If you get chance make time to see the walruses and try to catch their feeding time as I suspect you will enjoy it as much as we did. Sabina also introduced us to a very unique concept called the Panoramic exhibit. This was a design created by Carl Hagenbeck which creates a sense of what it would be like in Africa with the different species of animal. As you look at the enclosure it seems that the lions, zebras, ostrich and other animals are living together as they would in the wild. Obviously this isn’t quite the case and there are divisions between the enclosures created by moats and fences, but they only become apparent as you explore deeper into the exhibit. I’ve never seen anything like this in a zoo before and it was really quite spectacular. 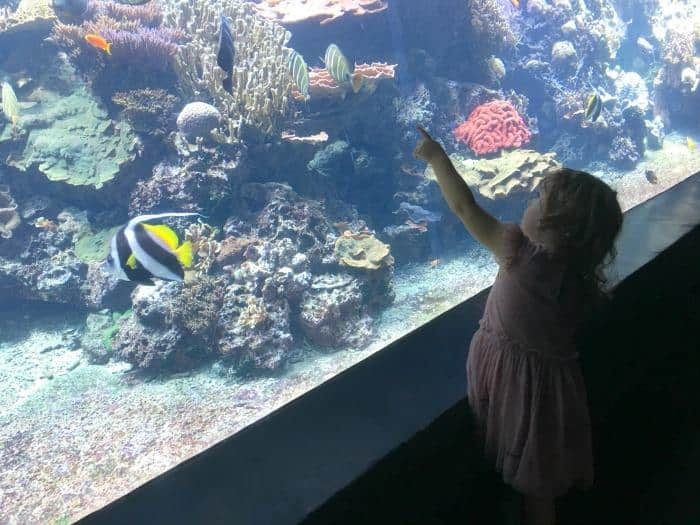 Before we left the zoo, my daughter and I spent some time visiting the aquarium. They are such relaxing places and we loved sitting and watching the fish swim through the water. One tank is like a cinema screen with auditorium style seats so you can watch the fish. It’s the perfect spot to take the weight off your feet for a few minutes. After catching up with the jelly fish and several species of shark we decided it was time to head back into Hamburg after what had been an incredibly enjoyable morning. 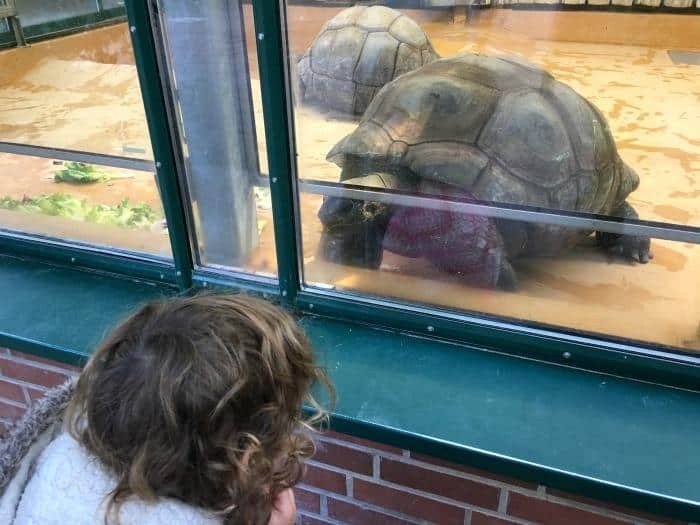 I know there is a huge debate about the existence of zoos, but I do believe they play an important role in animal preservation. I also think they are a great way of introducing our children to wild and domestic animals so they understand more about them and their habitats in the future. I came away from Tierpark Hagenbeck feeling like the animals were incredibly well cared for and were as happy as they could be in an unnatural environment. We very much enjoyed our visit here and would have no problem recommending going there for the day if you are looking for things to do in Hamburg. We were invited to Tierpark Hagenbeck in exchange for this post as apart of the Come to Hamburg project. I think that Hamburg Zoo is a wonderful place to visit and super for children too. Hi Zena – those walruses look amazing. Would love a visit to that zoo. Love the zoo always wanted to take my daughter there it looks like so much fun! Yes, there are some issues about the zoos and I agree with you, for me its the way they are being taken care of and preserve. As long as they are not being abused. Its okay for me that these animals stay in Zoo. It looks like a lovely Zoo Zena. Aww all the animals look fit, well kept and healthy. Lovely pictures. I need to take my kids to the zoo next summer. They have never been. This looks great. I love how the majority of zoos now are so focused on animal welfare and conservation. The walruses look very cool! I always love going to the zoo. This zoo is just amazing.